I dream of being able to walk into our backyard and being able to pick some veggies and use those in our dinner. Snacking on some homegrown strawberries. Oh, but that is just can't happen with this brown thumb of mine. We tried to start a garden a couple years back and it didn't do too well. I'm determined this year. 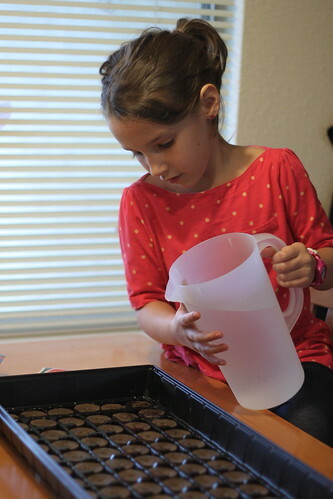 It just so happens that we have a whole unit on seeds and plants coming up in school. Totally convenient, right? Lots of learning for me and for the kids. 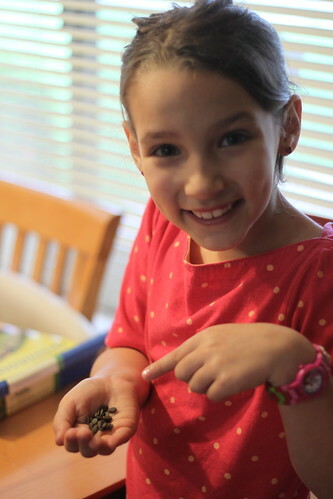 Choosing seeds was interesting with Allyson because she is so picky. She wanted to grow bananas, and Cheerios. Since that wasn't happening we settled on growing her next pick, peas. In case you are wondering, she doesn't eat peas. 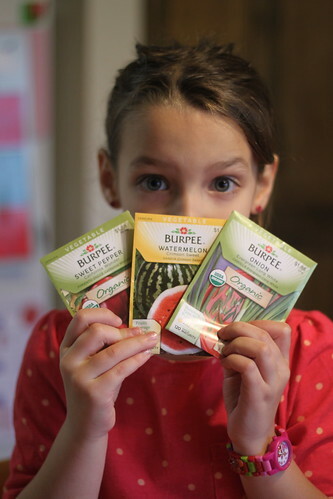 Aubrey is excited to grow watermelon. We bought a little greenhouse. Poured water on the little pods and wait for them to expand. 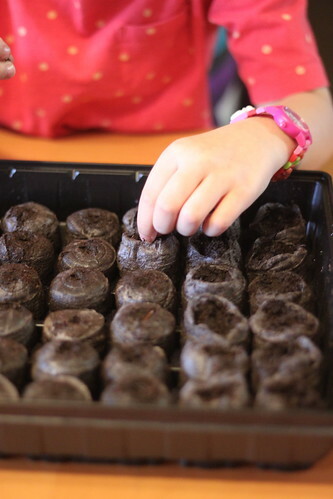 Then we took turns planting our seeds. Put the top and waited. 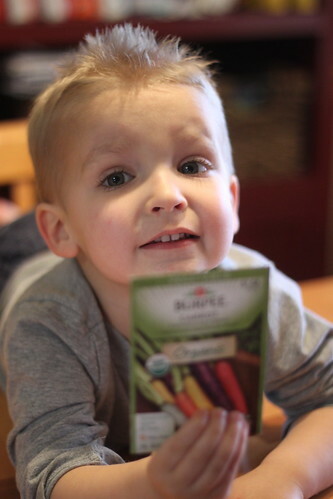 Most the packets said they would begin to sprout in 7-21 days. 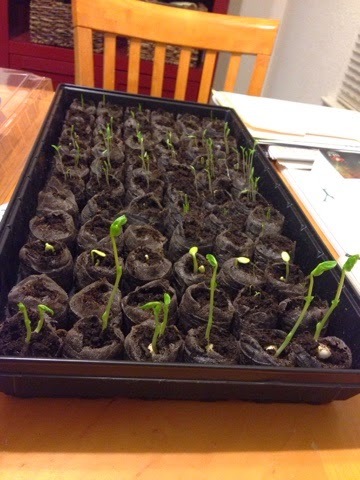 Imagine our surprise when just a couple days later the peas sprouted up. Here's a picture of the seedlings just 5 days after planting them. Crazy fast huh? We are all super excited for this adventure. Do you have an tips or advice for us? So fun! I have my peppers going now and will be planting my tomatoes tomorrow!!! then the rest a couple weeks later. How fun. 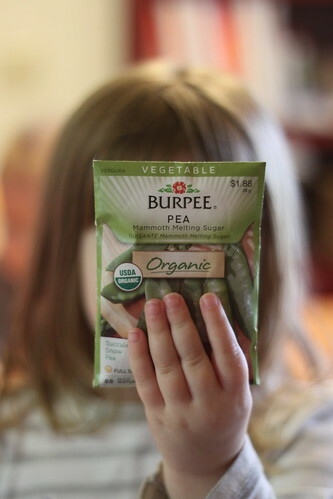 We love gardening here and our family favorite every year has been sugar snap peas -- we eat them right off the vine!